Ahoy Matey! Welcome aboard to sailing the seven seas! 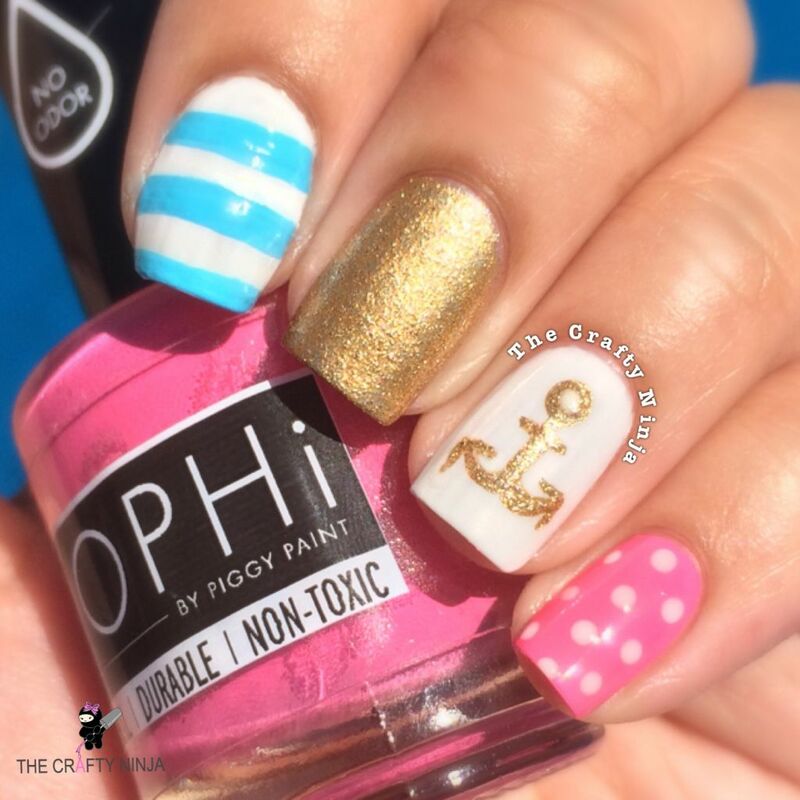 Today’s nail art inspiration comes from summery vibes of SOPHi nail polishes. 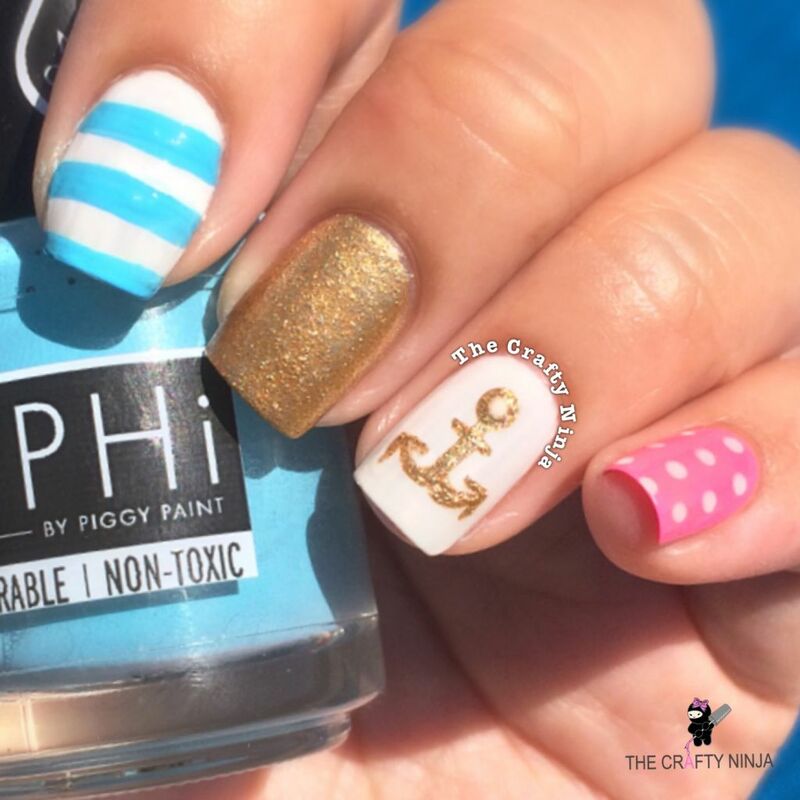 I love that SOPHi polishes by Piggy Paint are odorless, non-toxic, and durable! 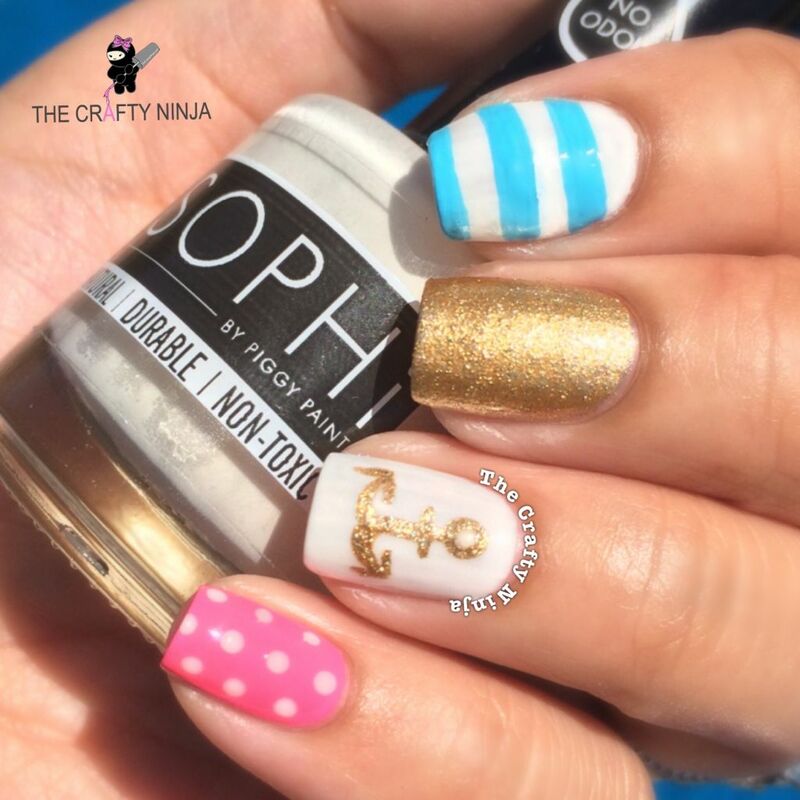 Arrr you ready to check out this Naugtical Nail tutorial below?! Aye, Aye Cap’n! Sail away!